When we’re using iTunes or other programs to organize our music files, we’ll come up with the problems of lacking information of the music albums. Of course, if the users purchase songs in iTunes Store, they will probably get the complete album information of the songs, including album artwork, artist name, genre, etc. If the users rip songs from CDs or get songs from other ways, they may lack the album info especially album artwork, which might be the most annoying part for people to add manually. The following post will introduce several helpful methods for people to get album artwork on iTunes, and other ways to find album artwork. iTunes is a very useful program for iPhone, iPad and iPod users to organize their media files, sync files to their devices and so on. This program allows users to rip CD music files and add them to iTunes library, however, After the users ripped music files from CDs, they won’t get the album artwork of the songs, at this moment, the users may want to get album artwork on iTunes. 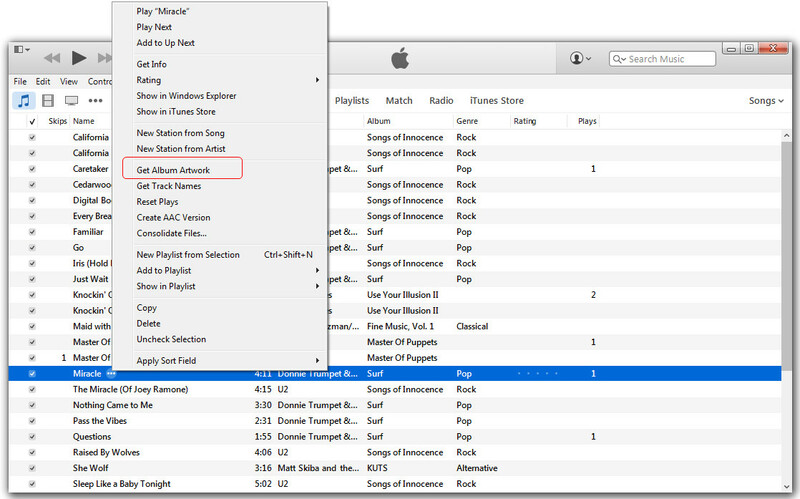 In fact, iTunes users can get album artwork easily within iTunes, and the following guidance will introduce the method in detail. 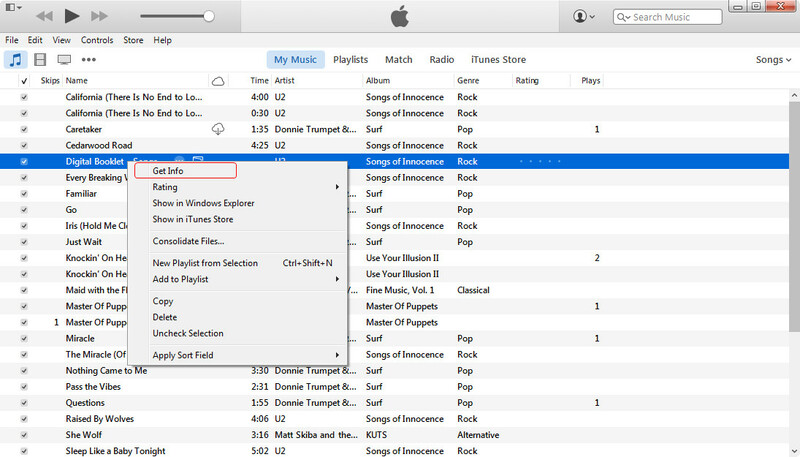 Many iTunes users have complained that they are not able to find the album artwork with this function even though the songs are available in the iTunes Store. If the users don’t get the songs with the Get Album Artwork feature in iTunes, they can check the methods below. As a matter of fact, when people use the Get Album Artwork function in iTunes, most of them will receive the message that the album artwork can’t be found, even if they can locate the songs in iTunes Store. At this moment, the users may want to manually add the album artwork to the songs with iTunes. If they have the album cover picture of the song, they can easily finish the task. The following guidance will introduce the method in detail. 2. Choose Artwork and click Add Artwork at the left bottom. 3. After adding the cover picture, you’ll get it in the Artwork panel immediately. 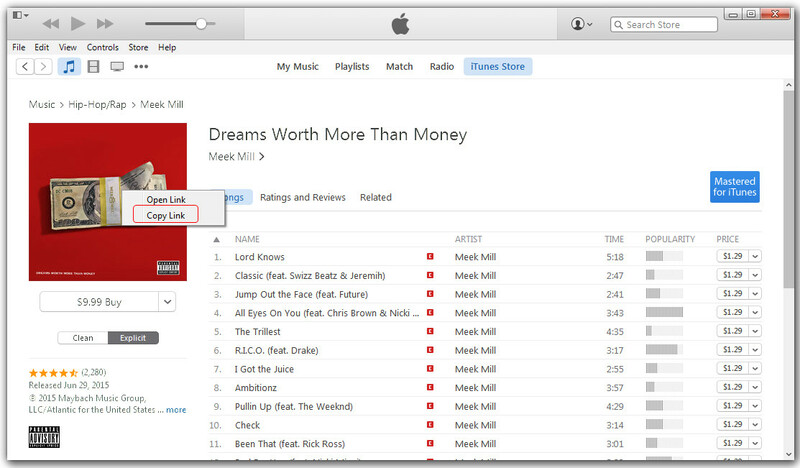 Then iTunes will add the cover picture into your song, and you will see the album artwork immediately. 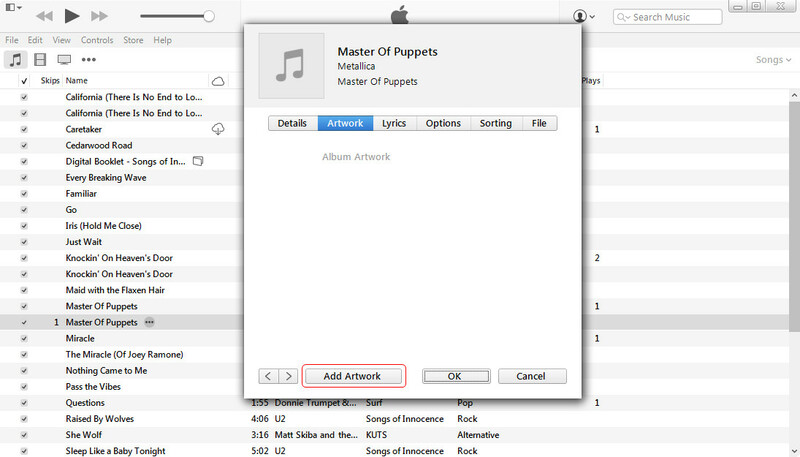 With this method, you are able to manually add album artwork to the songs, and also, you can fix music tags manually after you get music info with iTunes. If you don’t have the album artwork your song, you won’t be able to manually add album artwork in iTunes, so you will want to find out a way to get the album artwork. In fact you can find the artwork easily in Google Image, or locate the song in iTunes Store and rip the cover picture with the image editing tool. 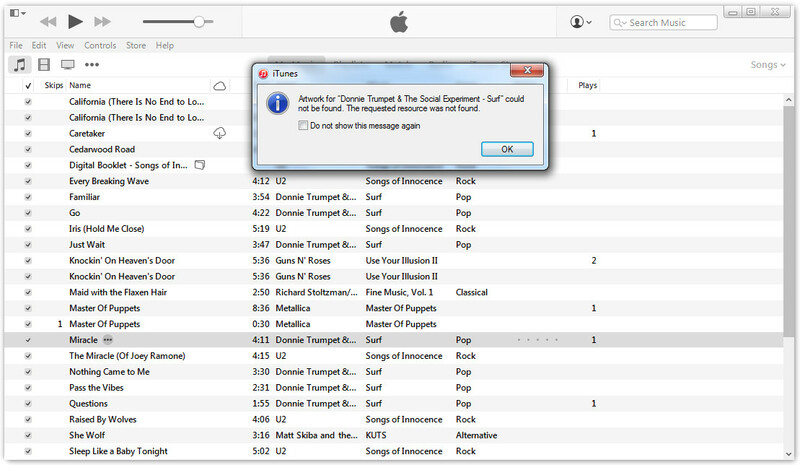 The following guidance will introduce the way to rip an album artwork in iTunes Store. 1. Find the song in iTunes Store, right-click the cover and choose Copy Link. 2. Right-click the cover and choose Open image in new tab. 3. Change the URL from 170×170 to 600×600, and you’ll get a big cover art. Now you will get a 600*600 JPEG picture on your computer, and you can add it manually to iTunes. Many people don’t use iTunes to organize their music files, so they can’t use the methods mentioned in Part 1. 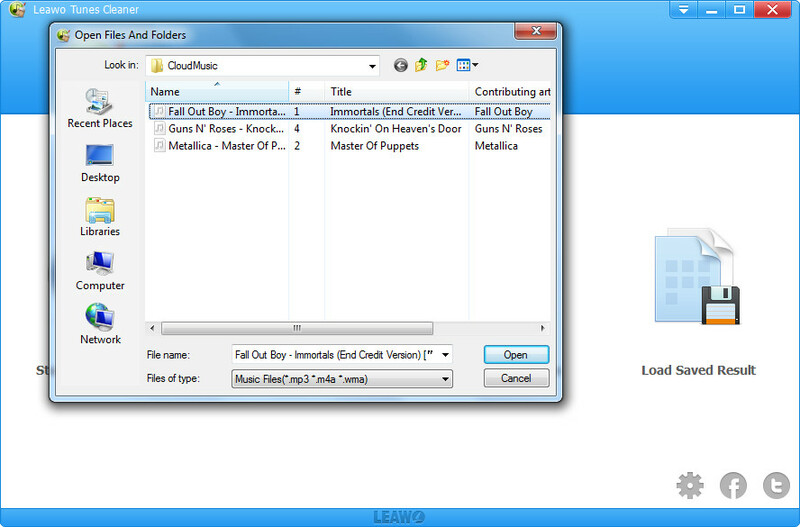 If people want to download and add album artwork to MP3 files on their computer, they can take advantage of the third-party album artwork grabber to automatically download add album artwork. 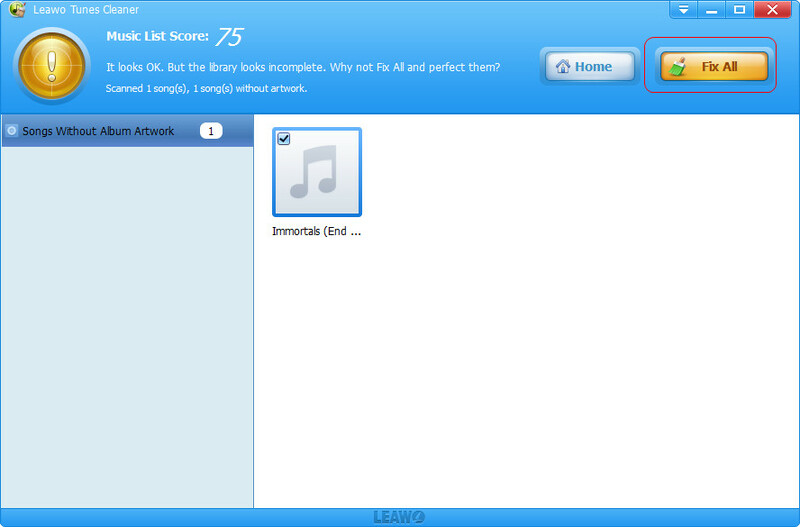 The following guidance will take Leawo Tunes Cleaner as an example, and introduce how to add album artwork automatically. 2. The program will scan the song automatically. Click Fix All after the scan. 3. 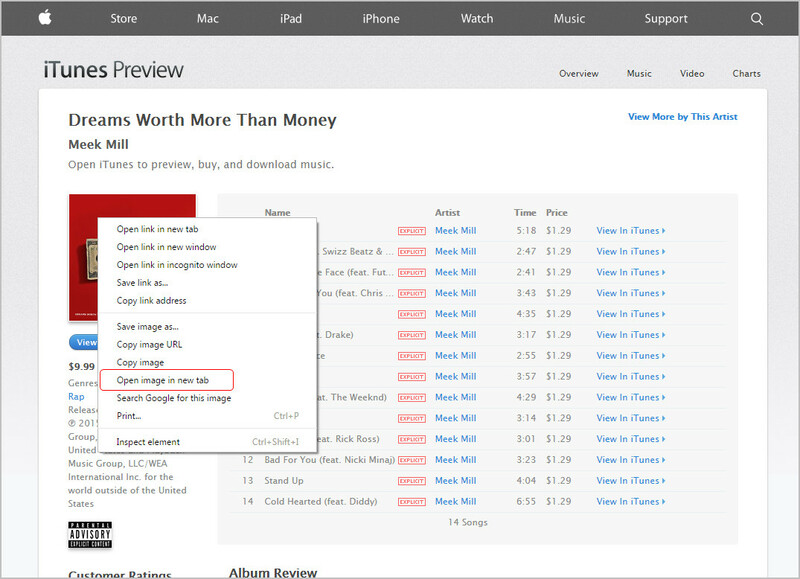 The album artwork finder will add the artwork for the song. Click Apply at the upper right corner to finish. 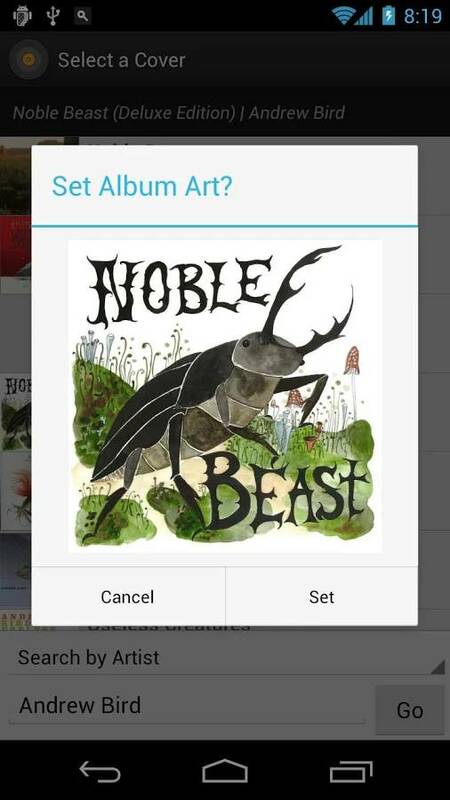 With a third-party album artwork finder, people can find the album artwork of their songs with no efforts. The software also provide powerful functions to help users to fix music tags, and this is also helpful for the serious music fans who want to fix the music information in their computer. As mentioned above, people may want to get high-quality album artwork for their songs. Generally speaking, people can search for the album artwork on the searching engine like Google, Bing and so on, but they may spend much time on finding the artwork as other related results will also show up. Therefore, the professional album artwork finder websites will be helpful for the people who want to find the album artwork without other interruptions. 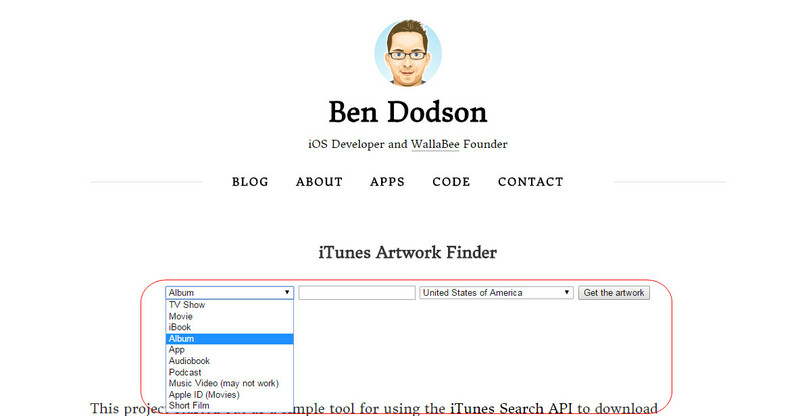 The following guidance will introduce several album artwork finder sites to all. 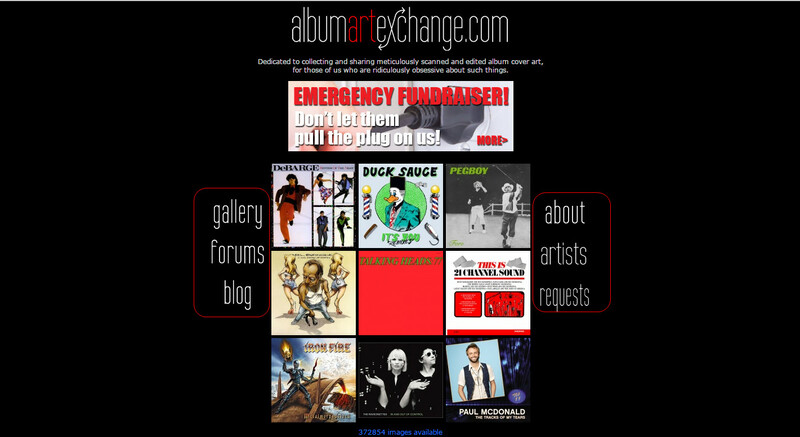 This site provides high-quality album artwork with free download service. You can search for the album artwork you need, and you can search for the album artwork you need with the searching column on this site, and you will get the artwork in short time. 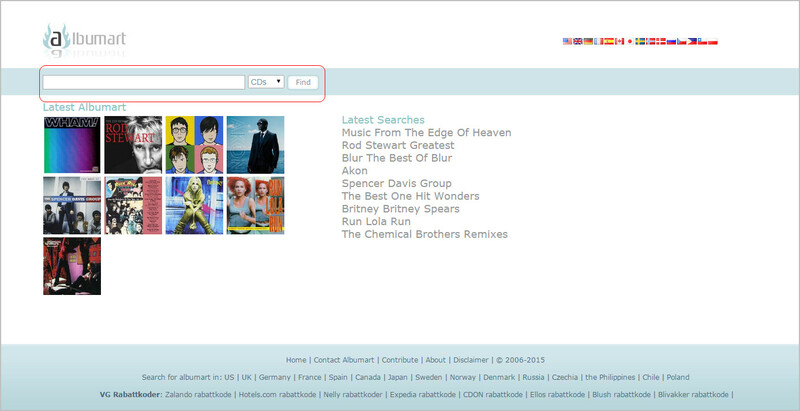 The site also enables users to search for the album artwork with the searching function within the webpage. 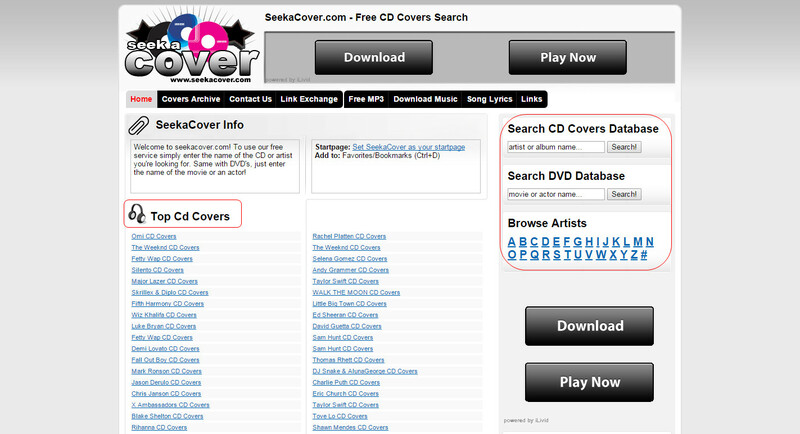 The site does not only allow you to search for the album artwork for CDs, but also allows you to search for the album artwork for DVDs. This site is also a helpful album artwork searching website, and it provides an overall solution for searching and downloading the album covers. It offers a searching function with first-letter browsing function. With the search on Google, you are able to get the results of several webpages which contains API (Application Program Interface) to help users get album artwork easily. BenDodson.com provides such helpful API for the users to find the album artwork for TV shows, music, movies, etc. After entering the webpage, people will see a searching column. 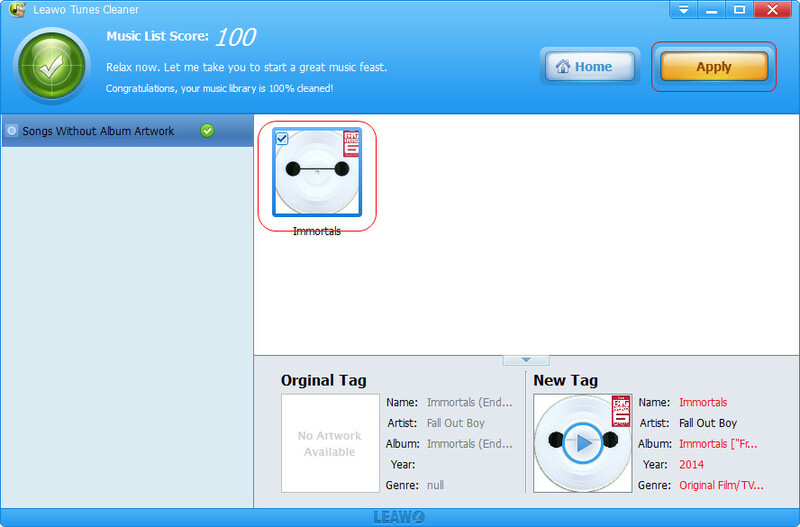 Users only need to select the media kind they need, and enter the name of the album, then click Get the artwork button. The page will find the artwork you need in short time, and it provides the cover picture with standard quality and high quality. If people don’t use iTunes, what can they do to get artwork for their albums and songs? 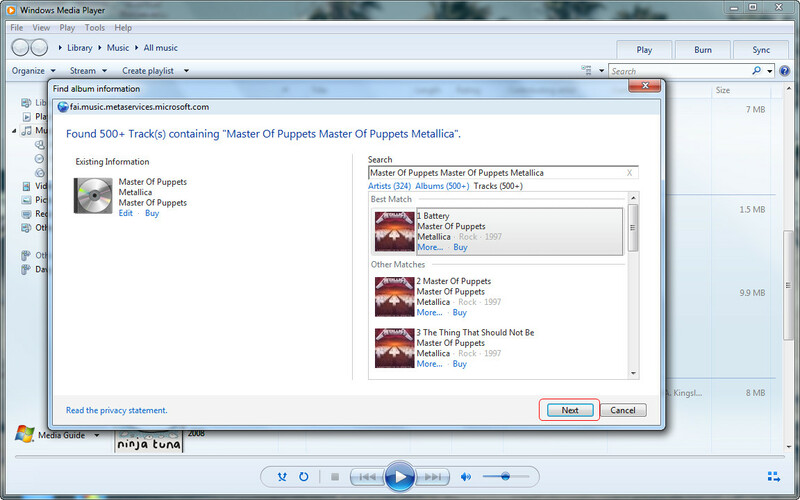 In fact, if people are using a Windows computer, and have Windows Media Player installed on their computer, they are able to get album artwork with simple clicks. The following guidance will introduce how to do that in detail. 1. 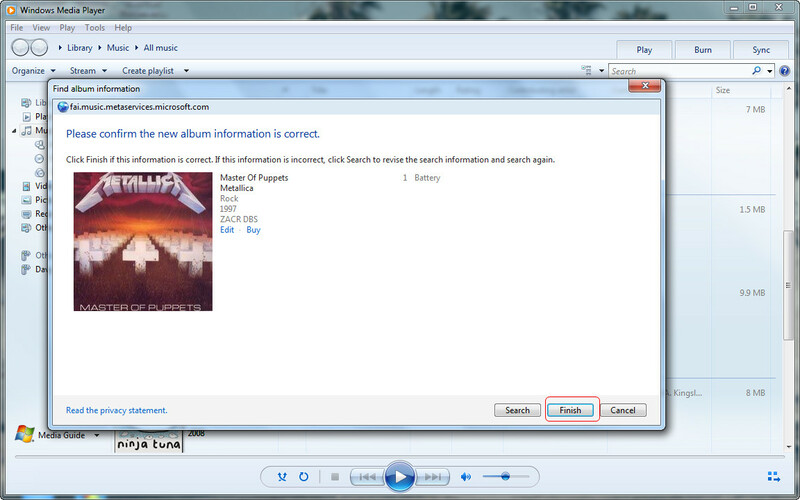 Open Windows Media Player, right-click the song and choose Find Album Info. 2. The program searches the album cover for you. Choose the right one after the search and click Next. 3. 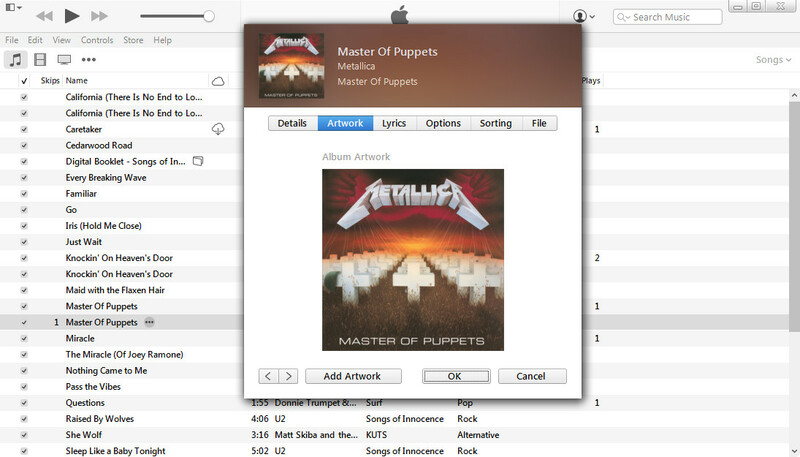 Confirm the album artwork in the dialog. Then click Finish. After that, you will get the album artwork for your song. 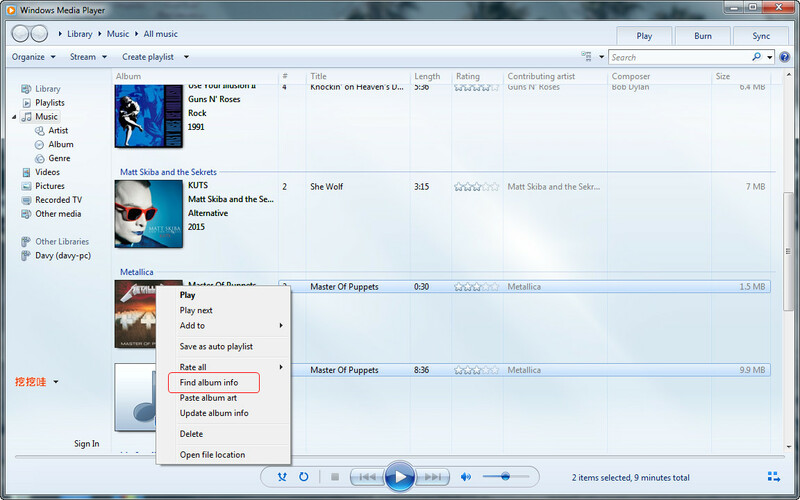 Note that I’m using the version 12.0.7601.17514 of Windows Media Player, so you may want to check your WMP version first and then find out whether the Find Album Info feature is available on your program. 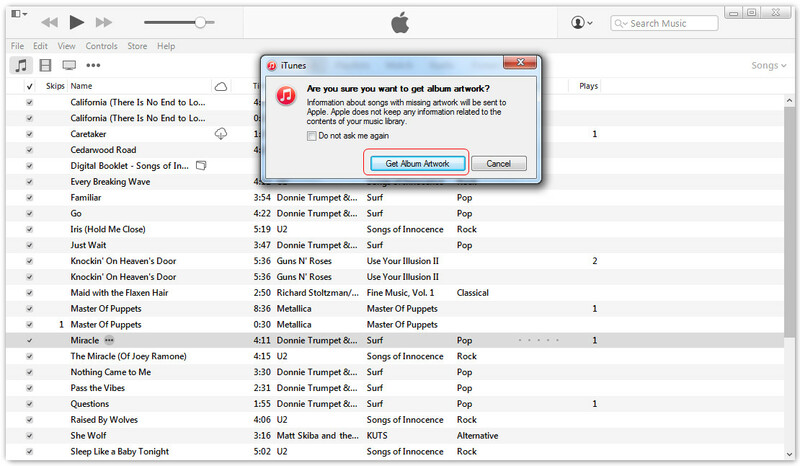 Android users won’t install iTunes on their computers in many occasions, so they may not be able to take advantage of the application to get album artwork for their songs. As a matter of fact, besides Windows Media Player mentioned above, Android users can also use the app on their devices to find album artwork. Album Art Grabber is such a helpful app. 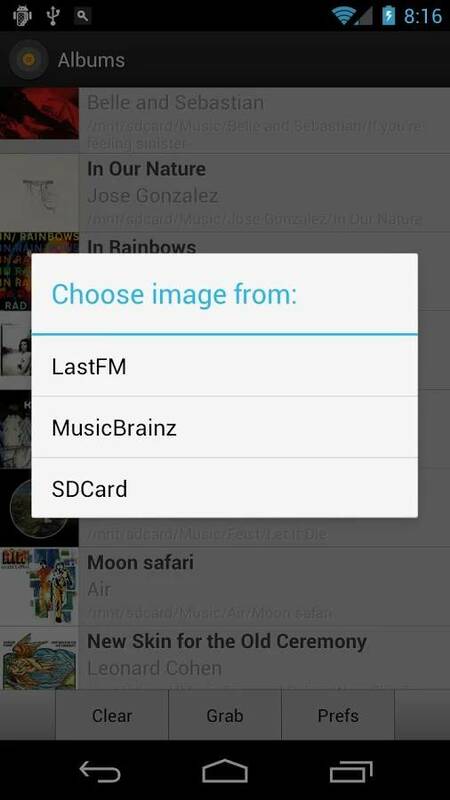 It enables users to search for the album art they need when their devices are connected to Wi-Fi or carrier connection, and add the album art to the songs on their devices. 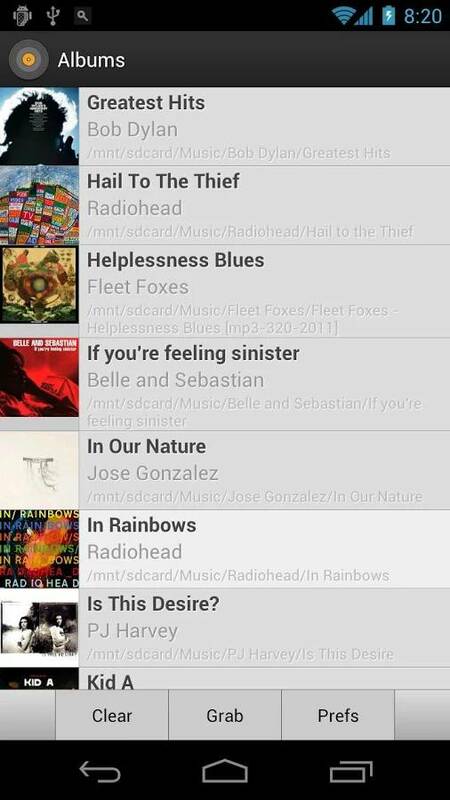 You are able to add local music files to your streaming music app for an enjoyment. If you ripped a music CD and added the songs to your app, you may not get the album artwork in the app. At this moment, you will want to find out whether the app can provide or download the cover picture automatically for you. Pandora provides such a functions for the music files added to the app, and it will display the album artwork if the album is “offered for sale on Amazon with cover art visible”.